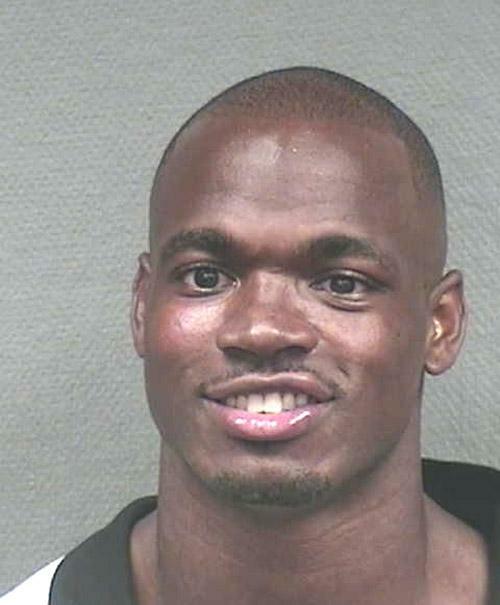 Minnesota Vikings star running back Adrian Peterson was busted by Texas cops in July 2012 and charged with resisting arrest. According to law enforcement, the four-time Pro Bowl player allegedly scuffled with off-duty Houston Police Department officers who were working security in a club after they asked him to leave the premises at closing time. Peterson, 27, was cuffed and taken to the city jail where he posed for the above mug shot before posting $1000 bond on the misdemeanor charge.